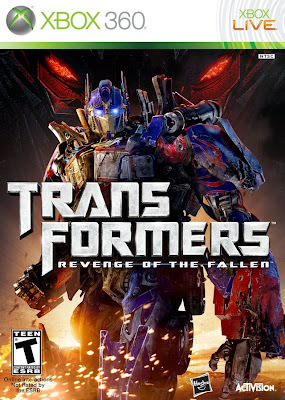 After a somewhat disappointing movie, yeah I said it I had issues with the movie – but that is another site at another time, Transformers: Revenge of the Fallen The Video Game brought it. Following the movie storyline but without all the fluff and the extended and unnecessarily ling battle scenes, you will traverse the globe and battle over the remaining fragments of the All Spark. The hardest decision is choosing to Save the planet, as the Autobots, or try to destroy it, as the Decepticons. Play as one of four Transformers, depending on the side you are playing as, and head out into the world. Complete challenges where you will protect (or destroy) key locations and race against time and battle it out with your enemies. Tackle your missions with speed and efficiency, while finding the Autobot/Decepticon tokens. Earn energon rewards for killing your enemies and completing the bonus mission tasks, these bonuses are worth the time and investment. Use energon to upgrade your team; more health, stronger weapons, faster drive boots and recovery times. Also unlock original G1 cartoon episodes – yes sir the original 1980’s Transformers episodes – FANTASTIC! Where I was disappointed with this game was the length, a common problem for movie games. Most missions are 10 minutes or less, even completing all the side quests takes no time. However I’d say this was mu only beef with the game. Game play was easy to grasp – transforming and driving (or flying) is done with ease and switching between your primary and secondary weapons is as simple as pushing a button. Re-playability is also an issue for the game, how many times can you save/destroy the world and not get tired of it? But do not worry multiplayer is here to save the day! Deathmatch (solo and team), Control (the bases), VIP (kill the team leader) and Shard battles (Capture the Flag). Find yourself on the world leaderboard and participate in the Global Battle matches to help your side of the war win. * Multiplayer extends playable life. Feed Your Console gives Transformers Revenge of the Fallen: 8.5 out of 10.